Writing in 1947 about some fig leaves that he was drawing, Matisse described how he was searching for the qualities that made them “almost unmistakably fig leaves”. He did not want to record exact copies of particular leaves, complete with their idiosyncratic folds and imperfections. Instead, Matisse worked to find the “common quality” that united things despite their visible differences. He wrote of searching for an “inherent truth” about the fig leaves. 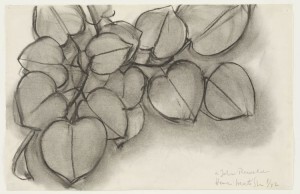 As we can see from Matisse’s drawing of another plant, the Judas Tree, above, the general shapes and spacing of the leaves, and the shapes of the gaps between them, give the plant an immediate identity. 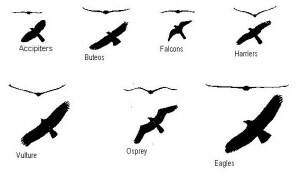 Though each differs from the next, all of the above bird silhouettes have a recognizable bird-identity. What is it that makes all of these shapes so recognisably bird-like; what gives them all a quality of “bird-ness”? It is the general shape, and the relative proportions of head, out-stretched wings and tail. If we so wished, we could create a new imaginary bird silhouette that was still recognisably bird-like, without having been copied from any existing bird species. When playing around with new bird-like shapes, when do our drawings lose the quality of bird-ness, i.e. when can they no longer be “read” or “understood” as birds? Feel free to experiment with this yourself. The quality of “thing-ness” can produce a strong emotional response. Imagine showing a drawing of a spider to someone who is terrified of spiders. You would expect them to be upset, whichever type of spider you had drawn. 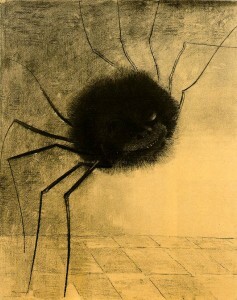 Now, what if the spider drawing was distorted. Would the arachnophobic person still be repulsed by your image? How much would you need to distort the image to make it acceptable to an arachnophobe? Would it be sufficient simply to make the legs of the spider extremely short, or to make its body very long, or to give it a different number of legs? To someone who has a great terror of spiders, you may need to distort the image considerably before it loses its quality of “spider-ness” for them. This discussion of things and identity brings me to Plato’s ideas. He talked of the Ideal of a given form, which was the embodiment of all the particular examples of that form. “When Plato spoke of the goblet-ness and table-ness, Diogenes the cynic said, “I see indeed the table and the goblet, but not the table-ness nor the goblet-ness”. 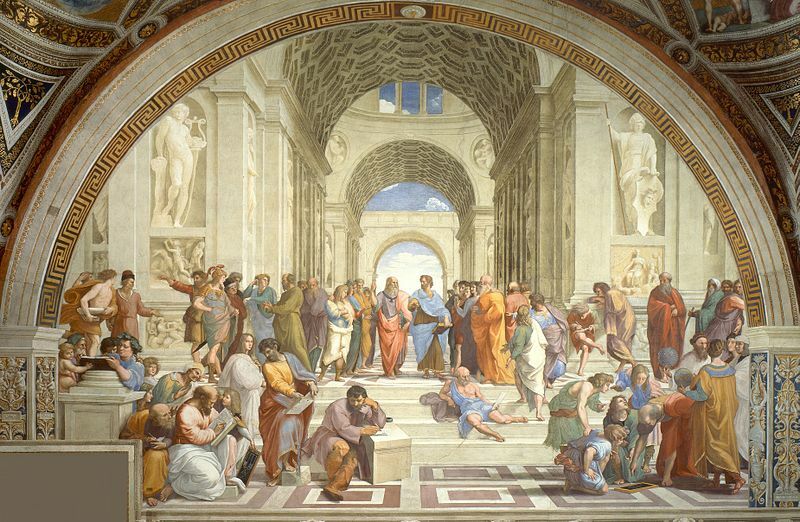 Above: Raphael “School of Athens” , fresco, Diogenes is lying on the steps, and Plato is standing in front of the central open archway, wearing red and purple robes. How might the Platonic Ideal be applied to drawing and painting? Artists have long intended to create images representing the perfect example of an object, being or landscape. They might go out with sketching tools in order to record the many random quirks of nature, but the final picture tends to be a long-considered ideal image. The artist collates all his or her previous observations in order to make a final enduring image. When I talk here about the “ideal” image, I do not necessarily mean one that is the most beautiful or pleasing. It may rather be the image that best sums up the appearance of a stormy sky, or the character of a complicated individual. 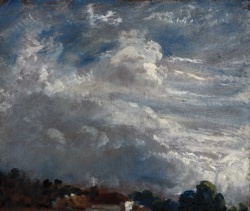 Above: John Constable “Cloud study, horizon of trees”, oil on board, 1821. Though he was a great observer of landscape detail and weather change, Constable strove to create a perfect final image that summarised and surpassed all of this. How do we recognise objects? The human brain performs an amazing feat when it identifies an object. We take the complexity of this task for granted. Take, for example, our ability to recognise a pencil as a pencil, at first glance and without thinking about it. 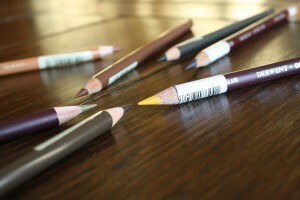 The pencil could be under any type of lighting conditions, and could be in any position. It could be any type of pencil. The possibilities are endless. In addition to this, our heads tend to be moving all the time as we go about our daily lives, so our eyes’ view of the pencil would be moving and fleeting, rather than a fixed frame like a photographic image. In his fascinating paper, “Art and The Brain”, published in Daedalus in 1998, the neurobiologist Semir Zeki proposed that we have a kind of Platonic Ideal of each object in our mind “such that a single view of an object makes it possible for the brain to categorize that object”. He suggests that this Ideal image would be developed from the brain’s stored memory record of all the views of all the objects that it has seen. 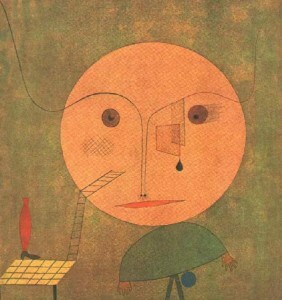 Considering the Platonic system, Zeki writes that “there can be no Ideals without the brain”. So the brain is of great importance here. Which part of the brain is most involved in object recognition? According to Zeki, it is a region known as the inferior convolution of the temporal lobes that somehow processes stored memory records of all previously-seen objects. We look at real-life objects in many situations and remember numerous images of them. In addition, we can add to our brain’s stored memory record by looking at pictures. Art helps curious people to learn about the world, and pictures that portray a quintessential, or Ideal image have a special function here. other objects and thus acquire knowledge about a wide category of objects or faces”. How should artists go about achieving this “quintessence”? For many, simplification is key. Matisse himself is known to have worked over many of his drawings repeatedly, not adding and over-working the image, but erasing and replacing marks until he was satisfied that he had placed each curve and line optimally. “You see here a whole series of drawings I did after a single detail: the lace collar around the young woman’s neck. The first ones are meticulously rendered, each network, almost each thread, then I simplified more and more; in this last one, where I so to speak know the lace off by heart, I use only a few rapid strokes to make it look like an ornament, an arabesque without losing its character of being lace and this particular lace. And at the same time it still is a Matisse, isn’t it? 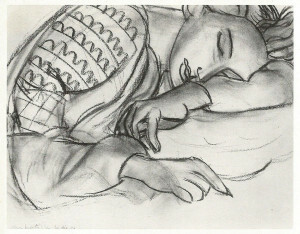 I like Matisse’s emphasis on drawing studies until he “knows the lace off by heart”, i.e. has a deep understanding of it. In fact, once the stage of knowing the object off “by heart” is reached, the artist is capable of making a simple drawing from memory. In conveying the essence of an object, memory is of the utmost importance. But I shall come back to this point in a future article.